The Smithsonian's Hirshhorn Museum this week banned selfie sticks, which are hand-held smartphone mounts for taking self-portraits. The move follows similar bans in New York City museums. 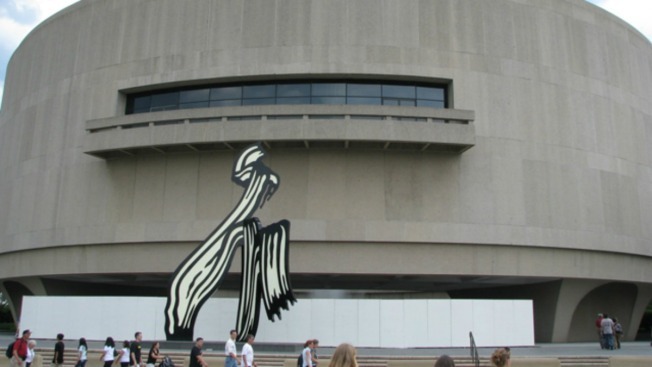 Hirshhorn spokeswoman Kelly Carnes said Friday that the museum made the policy as a preventative measure to protect artwork and visitors from potential harm. The Smithsonian museums already ban tripods and camera stands. No problems have been reported due to selfie sticks. Smithsonian spokeswoman Linda St. Thomas says there is not yet a Smithsonian-wide policy on selfie sticks, but the institution will develop a policy. She says art museums are always more concerned about photography and photo equipment. Selfie sticks are gaining popularity. More than 100,000 were sold in the weeks before Christmas last year.